2 bed 2 bath super clean with updated surroundings. Perfect place for families to relax and kids to play. complex offers 3 pools tennis grills and a work out room. Manager and team live close and are on call 24 hours a day should you need them. low rise complex with elevator. pools, grills, tennis, ample parking security. Must contact manager for check in details. There is no front desk manager elizabeth will give you lockbox code day of arrival. hello all, we have owned this condo for many years and love it so much it is our second home. We spend lots of time making sure the condo is clean and comfortable. We own a company in La where we reside full time. this is a great family friendly property with many things for the kids to do. located right in the middle of town close to eating and shopping. $25.00 parking pass is required you will purchase this at the gate onsite. I had reservations from March 30 til April 1st. My property manager Elisabeth was extremely rude along with Charles the security guard. We did our p a perwork only Kim be so I didn't know we had th o pay a 25 dollar parking fee to park at the condo. When we got there we tried telling ch a else and he was flat out rude so he made us pull over to call Elisabeth and find out the room to the condo the passcode etc..her reply was why didn't he tell you guys this in the first place and she hung up in my face. Charles s hook his head at us like we were stupid. We were humiliated other than that we tried as a family to enjoy the rest of our vacation despite the rude service we got. Hopefully they work on their customer service skills cause it was very unprofessional. plz review all terms and conditions clearly listed many times troughout the property description. In the description it says parking pass required and must contact manager for check in instructions. Great location for a visit to OB...steps to the beach and 2 beautiful pools..spacious condo with updated kitchen and baths...grand beach view from large balcony..quiet surroundings....easy parking...perfect for those who prefer to avoid the crowds in a high-rise as this 3rd floor unit is the top level..will definitely stay here again. Loved this condo. Convenient to beach,pools and shopping. Will be staying again! Nice 2 bedroom unit, family had an enjoyable long weekend. All appliances, TVs worked perfectly. Comfortable and clean, just a little dated. 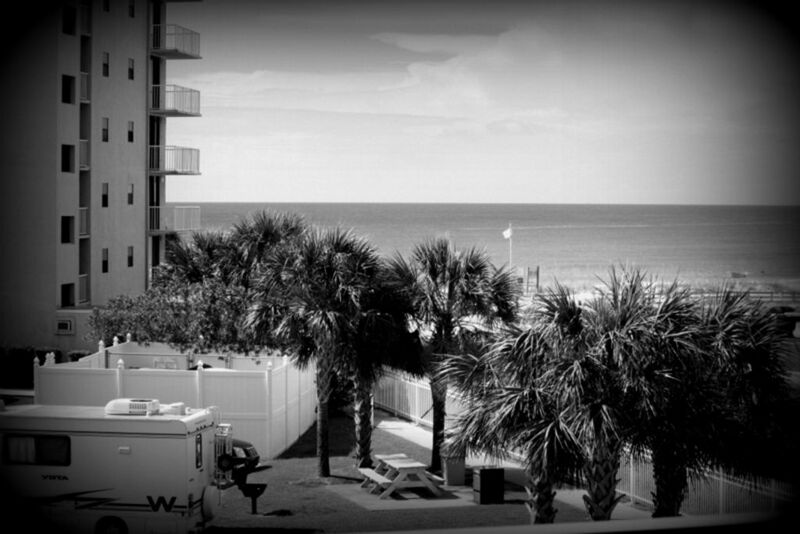 The unit is not directly on the beach, but you do have a partial view from the balcony. There is a $20 parking fee we weren't aware of prior to our arrival, so have cash. Big concert attraction at the Warf Amphitheater within minutes, World famous Flora Bama lounge and package store, Navel museum home of the Blue Angels, Tanger outlet Mall shopping, World famous Hangout in Gulf Shores. Deposit will be refunded back to your credit card within 30 days after you checkout.